Cryptic, broken patterns of brown and cream resembling leaf litter. 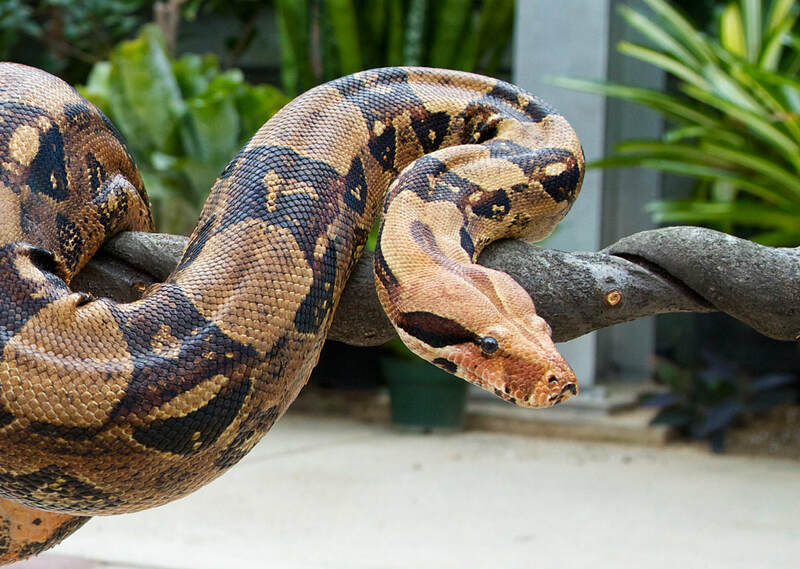 Length varies depending on where Boas live. On Hog Island, off Central America, Boas seldom grow longer than 3 feet. In most of Central America, Boas reach 10 feet. And in Trinidad and Venezuela, they can grow to 20 feet. Mostly rainforest but also can be found in semi-arid savanna. Found in the rainforests of southern Central America and South America. Young boas dine on mice, small birds, lizards and frogs. Adults will eat monkeys, capybaras, agoutis, acouchis, caimans, and wild pigs. Solitary except during mating season. Females retain eggs in their bodies and give birth to 20 to 60 live young, measuring 17 to 20 inches each. Although protected throughout most of its range, many skins are still sold to the leather trade each year. Numbers are also dropping due to habitat destruction. The Boa Constrictor cannot chase after prey. Instead it uses camouflage to lie in wait and grab unaware prey. It then wraps its tail around the prey and tightens its grip, or constricts, until the animal can no longer breathe. The Boa then swallows its prey whole, usually head first. It may take many days for the snake to digest its dinner. Boas are not venomous. 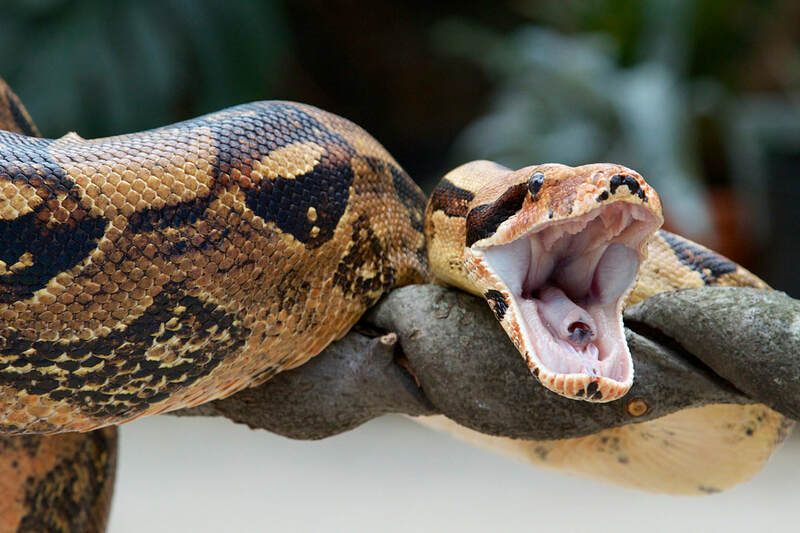 When Boas are threatened they will hiss so loudly they can be heard 100 feet away!